There are thousands of books on parenting. Even if you had time to read them all (and what parent does) you wouldn’t want to read most of them. 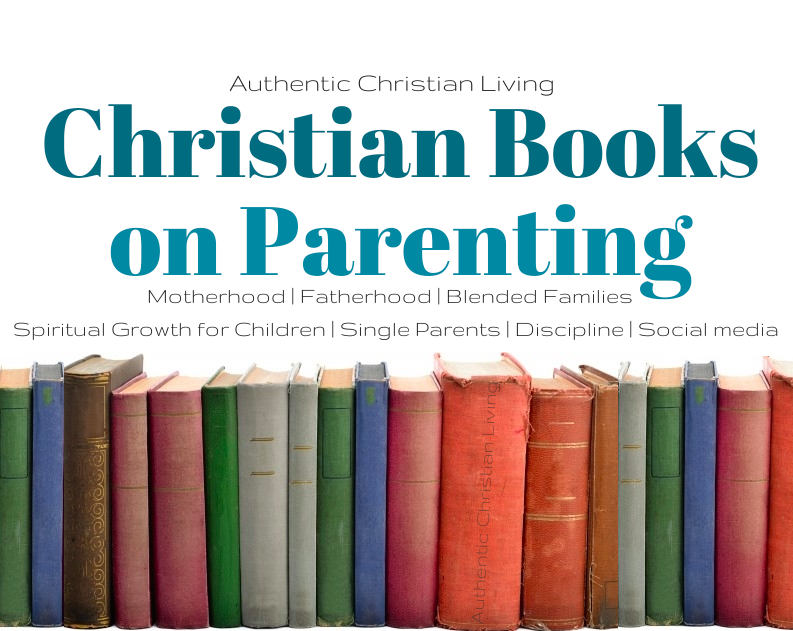 Authentic Christian Living has put together a few categories of Christian parenting books to help narrow down what to read and what you can skip over. All the books below link to Amazon where you can review the details a little closer. No book is perfect, condom but we think each of these books are amazing and would help grow any parent. As you grow and learn as a parent, we hope that you are doing so in the light and love of your heavenly father. Know that as you raise up these precious children of yours that He beams with fatherly pride at the person you are choosing to grow and become. Let us continue to seek to be closer to Christ, more like Christ and to grow as parents who teach their children about Christ. Now that you know just what to put on the nightstand to continue learning and growing as a parent, we ask that you pass on the wisdom! Donate any books you’ve got collecting dust to your church, goodwill, local library, friend or other parent that would enjoy them. We also suggest a little organization to your reading. Take the time when you finish a book to do a 1 page summary with your favorite takeaways. This will help you in the future remember what you thought of the book, what points you need to remember and help you decide at some point if you want to read it again. Writing a summary also helps you remember the book in the short term, what the key take-away’s that apply to your life will be and help you think to implement them in your life. Be an active reader. Take notes in the margins, highlight favorite lines, book ear pages that you want to come back to in the future… this is especially true for reading books on parenting because you may want to pass the book to your spouse. This gives them a chance to see what was meaningful to you. (Even if you are a single parent- you may want to pass the book on to someone you are dating or when you get married.) Taking notes and highlighting reinforces what you read to your mind. It also lets you come back later and skim a book that you’ve already read. Finally, being an active reader will help you write your summary. Let us know what you think of the Parenting Books we’ve recommended in the comments below.